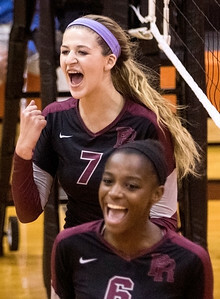 Sarah Nader- snader@shawmedia.com Prairie Ridge's Erin McNeil (back) and Genesis Sheridan celebrate a point during Tuesday's match against Crystal Lake Central in Crystal Lake September 22, 2015. Prairie Ridge beat CL Central, 25-21, 25-22. Sarah Nader- snader@shawmedia.com Crystal Lake Central's Sarah Kelly jumps to block a ball during Tuesday's match againstPrairie Ridgel in Crystal Lake September 22, 2015. Prairie Ridge beat CL Central, 25-21, 25-22. Sarah Nader- snader@shawmedia.com Prairie Ridge's Mackenzie Garis (left) celebrates after winning Tuesday's match against Crystal Lake Central in Crystal Lake September 22, 2015. Prairie Ridge beat CL Central, 25-21, 25-22. 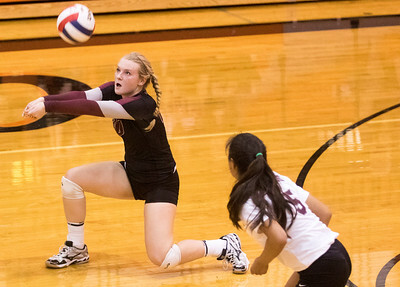 Sarah Nader- snader@shawmedia.com Prairie Ridge's Jayden Otto returns a ball during Tuesday's match against Crystal Lake Central in Crystal Lake September 22, 2015. Prairie Ridge beat CL Central, 25-21, 25-22. 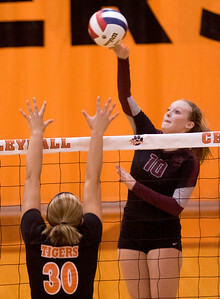 Sarah Nader- snader@shawmedia.com Prairie Ridge's Savannah Sheridan taps the ball over during Tuesday's match against Crystal Lake Central in Crystal Lake September 22, 2015. Prairie Ridge beat CL Central, 25-21, 25-22. 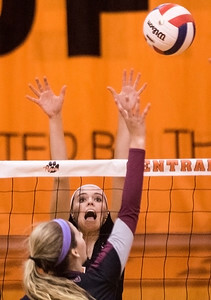 Sarah Nader- snader@shawmedia.com Prairie Ridge's Emily Baudin hits the ball over the net during Tuesday's match against Crystal Lake Central in Crystal Lake September 22, 2015. Prairie Ridge beat CL Central, 25-21, 25-22. 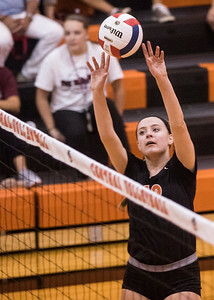 Sarah Nader- snader@shawmedia.com Crystal Lake Central's Megan Kelly sets the ball during Tuesday's match against Prairie Ridge in Crystal Lake September 22, 2015. Prairie Ridge beat CL Central, 25-21, 25-22. 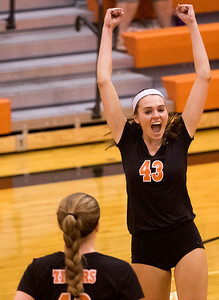 Sarah Nader- snader@shawmedia.com Crystal Lake Central's Sarah Kelly celebrates a point during Tuesday's match against Prairie Ridge in Crystal Lake September 22, 2015. Prairie Ridge beat CL Central, 25-21, 25-22. 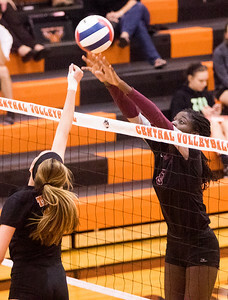 Crystal Lake Central's Sarah Kelly celebrates a point during Tuesday's match against Prairie Ridge in Crystal Lake September 22, 2015. Prairie Ridge beat CL Central, 25-21, 25-22.